With the support of DOE’s Fuel Cell Technologies Office, Dynalene developed fuel cell coolants that have already reached commercial success across multiple industries. Through EERE, Dynalene was able to comprehensively test materials to identify those most compatible with fuel cells at elevated temperatures. Using that research, the company produced coolant technology that can support companies not only in the fuel cell business, but those who work in batteries, electronics, and power generation. Benefits: Dynalene has been working with several automotive and fuel cell manufacturers on using the coolants in their PEM fuel cells, hybrid electric, electric vehicles and back-up power systems. The Energy Department’s Building Technologies Office commissioned Kawneer to develop window technology that could cut back on energy waste from buildings. The $1.3 million of Recovery Act funding led to the highly insulating OptiQ window, which is 40% more energy efficient than existing commercially available double-pane, low-emissivity windows. OptiQ windows meet commercial building structural requirements, enabling Kawneer to expand this innovative technology — previously only available for residences — to multiple commercial markets and providing building owners and operators with more energy efficient options for saving on heating and cooling. Funding: $2.6 million; $1.3 million ARRA funding with a $1.3 million cost share from Traco. Benefits: The OptiQ™ Ultra Thermal Window series introduces new high-performing windows to the commercial building industry and unlocks the potential to save energy in more of America’s commercial building space. SYMMETRIX HPX-F is the result of an EERE-funded partnership between Porous Power Technologies and Oak Ridge National Laboratory. The award-winning membrane technology, which lowers lithium-ion battery costs and improves safety by protecting batteries from overheating, offers benefits to an impressive range of markets — including electric vehicles, utility-scale energy storage, portable electronics, and healthcare. Funds provided through EERE have helped make Pennsylvania the manufacturing powerhouse that it is, with the sector accounting for almost 20% of the state’s clean energy businesses. 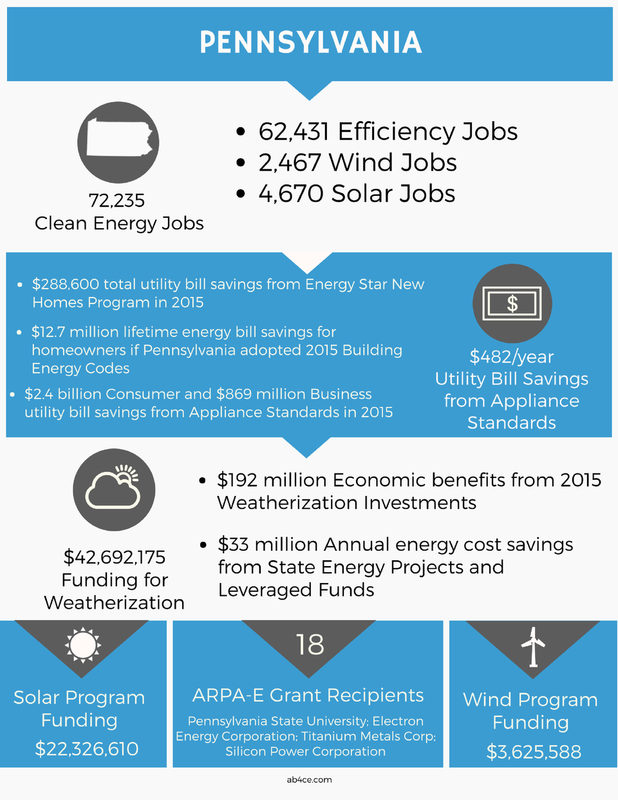 EERE’s existence is a key contributor to the more than 66,000 clean energy jobs in Pennsylvania, as well as the sector’s 15% growth rate. Partners: Oak Ridge National Laboratory, Porous Power Technologies. Benefits: Breakthrough technology lowers lithium ion battery costs. Receives 2013 R&D 100 Award.